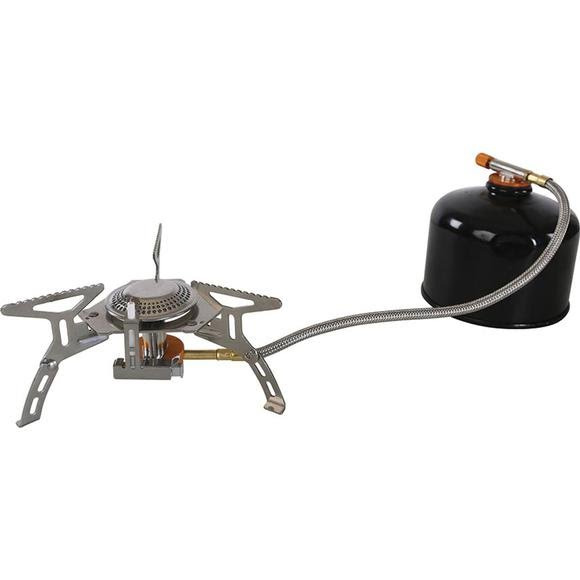 This high-powered, lightweight backpacking stove from Stansport features a Piezo electronic ignition which requires no matches. The Iso-Butane stove is rated to 8850 BTUs, plus it's ultra-lightweight, only 8 oz, ideal for heading into the wilderness. This high-powered, lightweight backpacking stove from Stansport features a Piezo electronic ignition which requires no matches. The Iso-Butane stove is rated to 8850 BTUs, plus it&apos;s ultra-lightweight, only 8 oz, ideal for heading into the wilderness.